1. Black heel boots: EVERY WOMAN LOVES A PAIR OF BLACK BOOTS. There I said it. To be honest, black booties are not a fall-only thing. In fact, it is a fashion necessity, so to speak. It can be worn at any season of the year, for as long as you’ve got your imagination wander as regards your fashion style. Just remember one thing: If you already have some pairs of boots in your closet, then give it away — it’s time for some upgrade. If not, then keep it — the more, the merrier. 2. J Crew statement jewelry: As they say, it’s all about the statements baby. Guess what? Jewelry are a good to make a statement or emphasize one. Sport a simple look. Add some jewelry. Boom! You’ve got it right. You’ve just made a statement. The more kinds of jewelry, the more statements you can make. Therefore, have some varied jewelry ready for your everyday look. 3. Elie Saab print blouse: Why have some printed blouses on fall? 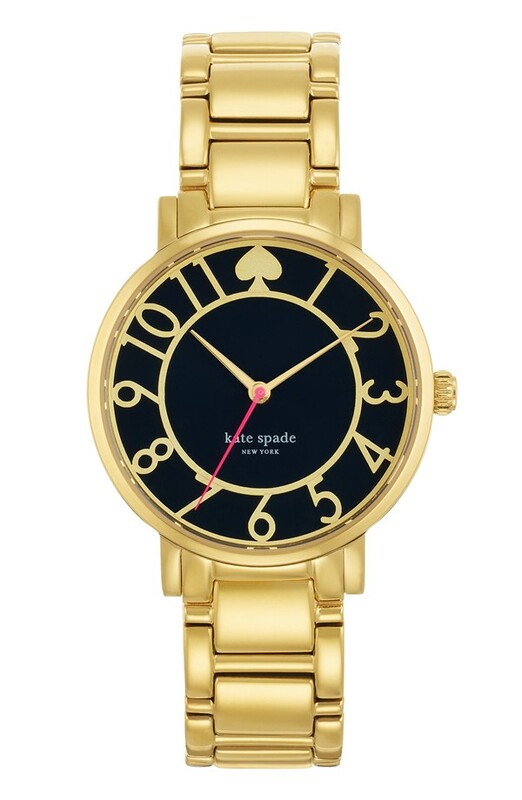 Simple, it’s crisp and clean and speaks a lot of fun. 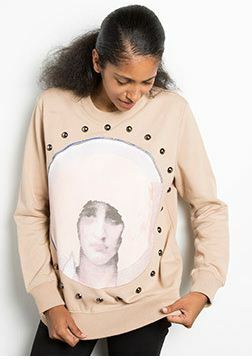 What’s amazing with this Elie Saab printed blouse is that it can act as a layering piece or you can wear it as is. So, for fall, you can wear it as is. On winter, you can add a tank underneath it or add a sweater above it. See? It’s a win-win situation. You won’t have regrets. 4. Balmain pleated faux leather skirt: Play with some leather. Unlike ages ago, leather has since upgraded and it has done some good on women’s fashion life. This Balmain faux leather skirt is great for work or a night out. Here’s the trick: pair it with tights on work and remove the tights afterwards on your way to a girls’ night out. Sounds good, yes? 5. 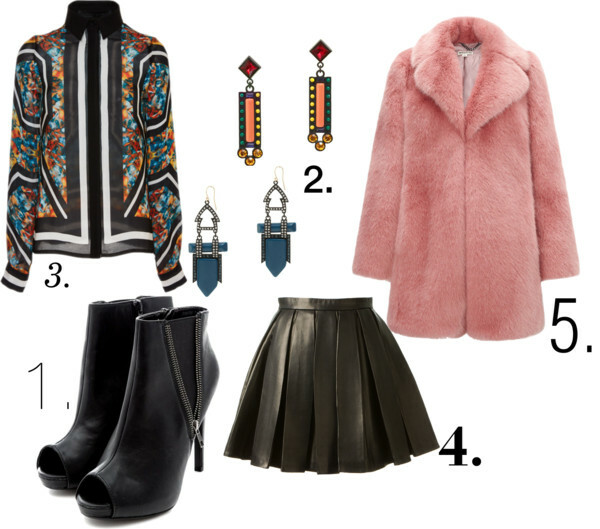 Whistles pink coat fun fur: Add some style to your coat. Make it furry. Nothing says glamour quite like fur. Let them know how fashionable you could be anytime of the year. There you have it: five must-haves for the fall (that can be used in all other seasons of the year). The ’90s were a time for great music and great fashion. Thankfully, designers can’t get enough of the 1990s that they actually are trying to bring back the nostalgia that the 90’s brought. Lately, we have noticed that the trends in the fashion industry reflect that of the 1990s, and so, here in RichOutfits, we decided to compile some of the trends that came from the 1990s. 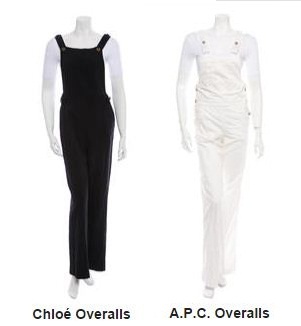 Overalls — whether in the form of jumpers, jumpsuits, or whatever — have also been a trending style in today’s fashion industry. Denim or cotton or other materials, overalls have been rocking the woman’s industry nowadays! Sweatshirts have making the rounds in the fashion industry, whether it by designer companies or designer individuals, sweatshirts are coming back. In the fashion news, it is believed that Calvin Klein Jeans has been in the forefront of this comeback. True enough, other designer brands and labels have followed them. They even have their own versions and styles of the sweatshirts. Whether you pair them with your shorts, you long dresses, your maxi dress or just anything that fits, combat boots are also a style from the 90s. 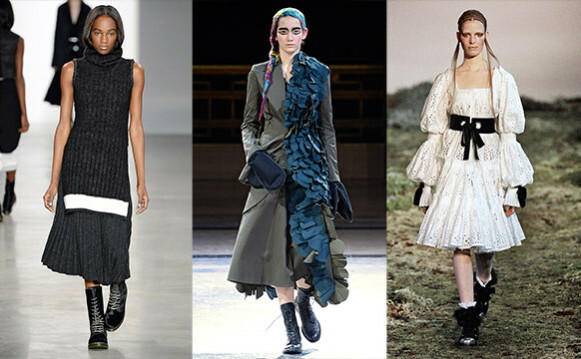 It is amazing how this bulky not-so-stylish-looking boots have made a comeback, and designers have come up with marvelous ideas that made them a hit — once more! Don’t you just love backpacks? Yes! I do. They allow me to bring a lot of things all at once, plus they’re cute! Chanel started it all, and then Rag & Bone’s, Mulberry, and other brands followed suit. Now, backpacks are back in town! Aside from their bigger space, they also look extremely fashionable and trendy. Can’t wait to have one! The 90s are so back! Having a wardrobe filled with rich outfit and designer sets is not enough to make you look like a star. You have to put extra effort on your face to, and that’s when makeup comes in. When you wish to look like a star, you don’t just grab designer clothing and follow the trends; you also have to be careful with what you put on your face. You have to master the art of makeup and learn the dos and don’ts of makeup artistry. Thus, to help you on your journey towards stardom – or at least looking like one – here are five tips for you – makeup-wise. 1. First and foremost, remember that your skin is the most important part of your body as it is the one directly and first seen by the naked eye. Remember that no amount of makeup can give you a perfect skin or can hide that imperfection. However, we can minimize these imperfections by exfoliating it with a toner. You can’t apply makeup to a dry, rash skin. 2. Next step would be the application of moisturizer. Using your foundation brush, apply a ample amount of foundation. It is advisable that you use a foundation brush as this gives you a level of consistency and leaves have a more creamy, sheerer application. 3. Third is to apply eye cream. No one is too old for eye creams. 4. Fourth, apply something that would make your skin look warn. Contouring the face in skin-tone colors for added warmth is advisable. 5. Most importantly, when it comes to the application of makeup, there is only one thing you have to keep in mind: blend. Make sure your makeup cololrs blend with each other and complement your outfit. No amount of makeup is beautiful enough if it doesn’t complement your outfit. Makeup is supposed to complete your look, thus knowing how to blend should be your priority. For starters, you can check out brands like MAC, Chanel, Burberry, and others for your makeup starters’ kits. Also, the next time you buy an outfit, think of a makeup look that would complement it. If you must, then buy makeup kits that would match the newly bought items. This would ensure that you would have the best look for the occasion, whatever it may be. Other brands include A Dozen Roses, Abba, Acqua Di Parma, Britney Spears, Broadway Nails, Chantecaille, ChapStick, Maybelline, Matrix and more. Check out the photos for this article (above and below) for more makeup brands. May 11. That is the day for this year’s Mother’s Day. That is one of the 365 days in a year dedicated to moms, who have been every child’s own superhero. Thus, on that day, this year, let all children give their moms a simple or extravagant gift. Card, flowers, and calls may be enough, but there is so much out there we can give as gifts for our mom. These gifts, which they can wear everyday, can be symbolisms of our love for them and a reminder that we, their children, are thankful to them. This year, on May 11, give your moms one of these accessories and let them wear your love everyday. 1. PANDORA Multistrand Bracelet. 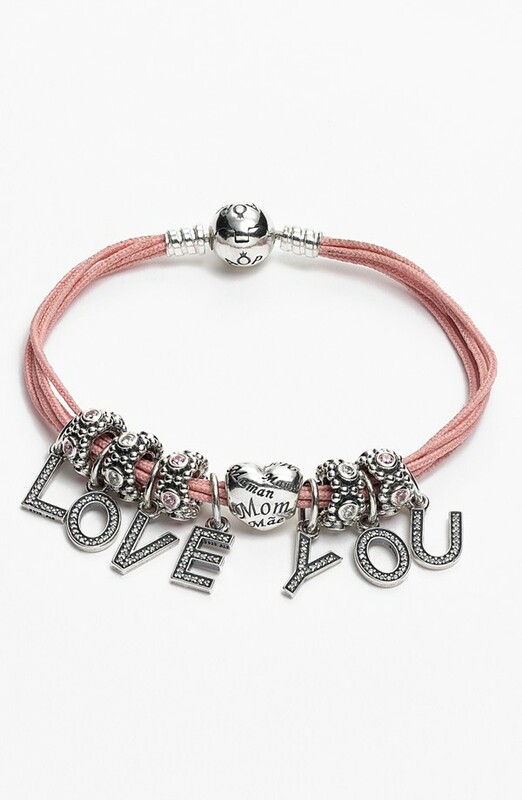 This multistrand bracelet comes with charms that show the world how much we love our moms. This Mother’s Day, surprise your mom with this simple yet meaningful bracelet from Pandora. The charms maybe can be personalized according to your liking. Whatever charms you decide to include in this multistrand bracelet, make sure it is enough to symbolize the love you have for your mom. Of course, to make it even sweeter, give her a warm hug and a kiss. If your miles away from your mom, have this Pandora bracelet delivered to her place together with a card. Through the card, tell her how much she means to you and how grateful you are to be her child. Like any other relationship, distance should not be a hindrance in showing one person how much he or she means to you. Thus, on her special day, don’t make distance an excuse. Go the extra mile. 2. 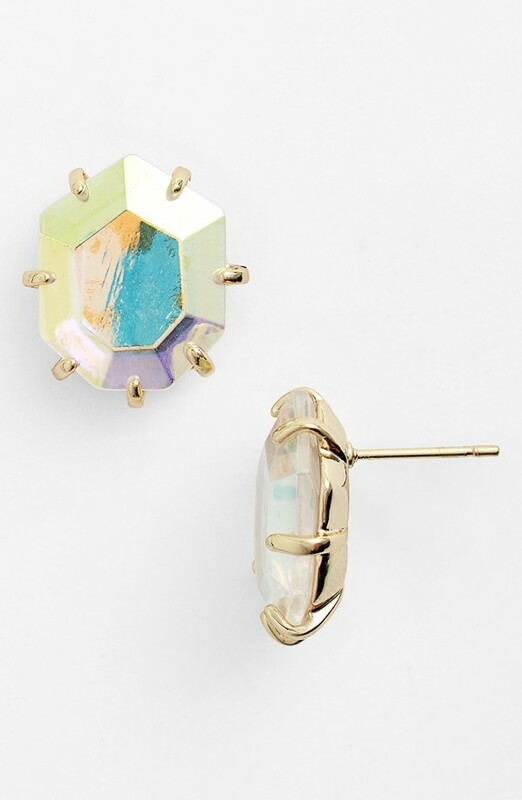 KENDRA SCOTT Morgan Stud Earrings. This earring has polished, heptagonal facets that enhances the rich vibrant color of statement stone studs. Let every color become meaningful by associating it to a character your mom strongly possess. It doesn’t really matter whether that character is positive or negative. As long as it is one of the characters that define her, then it’s good to go. Remember, knowing your mom’s negative and positive side is another way of telling her you have been paying attention. On mother’s day, use those characters to bring to life the colors that are reflected in this pair of stud earrings. More importantly, tell her mom that despite her flaws and negative side, you are still thankful that she is your mom and not anybody else. Appreciate her — both the good side and the bad. She’d love it anyway.